(NEW LONDON, CT) – Governor Ned Lamont today visited New London to announce a new partnership between the Connecticut Port Authority, Gateway Terminal, and the City of New London regarding the future of the Connecticut State Pier. 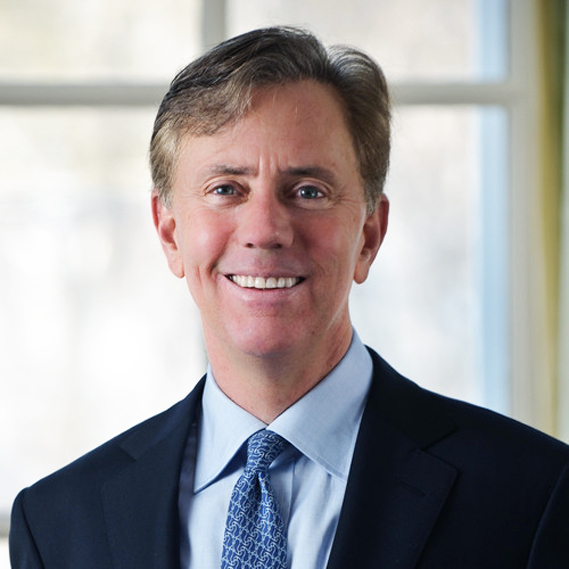 Under the terms of the partnership, which was brokered by Governor Lamont’s office, New London will receive 10 percent of the Port Authority’s share of the revenue from the State Pier, in addition to an annual $75,000 fee to defray the cost of police, fire, and other services the city provides. The Port Authority will also support efforts to amend its enabling statutes to include the mayor of New London as an ex officio member of its Board of Directors, guaranteeing that the city’s perspective is taken into account as any further investments in the State Pier are developed throughout the planning process. The partnership outlines the city’s important role in shaping the future of the State Pier to serve as the regional hub for the offshore wind industry and other emerging opportunities. Created by state statute in 2014, the Connecticut Port Authority is a quasi-public agency responsible for marketing and developing the state’s ports, harbors, and maritime economy. Gateway Terminal is a privately held Connecticut-based company that is the largest port terminal operator in the State of Connecticut. Gateway’s Connecticut terminal locations handle a wide range of breakbulk, dry bulk, and liquid bulk products. The company currently operates five terminals on approximately 75 acres of land in and around the Port of New Haven. The company’s strategic location, connectivity, infrastructure, and turnkey services provide numerous advantages over both regional and large northeastern ports. In recent years, the state has committed more than $30 million toward renovating the State Pier into a regional hub for green jobs, including for use in the deployment of equipment and workers for offshore wind projects. The investments will be used for storm water treatment and drainage improvements, upgrades to increase laydown capabilities, the construction of a heavy lift pad, improvements to load-bearing capacity, and replacement of mooring dolphins, among other enhancements. In addition, Ørsted, the global offshore wind energy leader, is developing its 300-megawatt Revolution Wind farm that will contribute nearly $32 million in local investments, including $1.5 million in host community payments to New London, a $3 million grant to the city to improve maritime facilities used by the city’s commercial fishing industry, and more than $4.5 million in grants supporting workforce and supply chain studies as well as research and STEM education at regional institutions. Also, the company expects to open a New London development office this spring. Revolution Wind is expected to be in construction from 2022 to 2023 and create over 300 local development and construction jobs. It will be located over 40 miles from Connecticut’s coast and about 15 miles south of Martha Vineyard.